Sennheiser’s HD25-1 is perhaps a one of a kind headphone, with no other manufacturer offering anything similar to what the HD25-1 has. It was designed as an on-location monitoring tool by Sennheiser, and it offers superbly neutral sound with a very rugged, very portable housing. The headphone is a closed design, and the sound isolation it provides is top notch, competing with the top IEMs. The price is not cheap for a portable headphone: $200 in the US, and above $300 in Asia. The HD25 Series comes in two main variations: HD25-1 and HD25 SP. The SP is a lower-priced version with inferior sound quality and less efficient drivers, which sells for about $130. Besides the two, Sennheiser for a period of time manufactured a HD25 SP with 300 ohm impedance for the British Airways Concorde flights that can still be found on Ebay. Looking at the Sennheiser Worldwide website, we find that there are currently 3 other variants: the HD25 II (as HD 25-1 II, but with 2m steel cable, straight jack plug), HD 25-C II (as HD 25-1 II, but with 3m coiled cable, straight jack plug), and the HD25-13 II (as HD 25-1 II, but with 600 ohm impedance, 3m steel cable, straight jack plug). 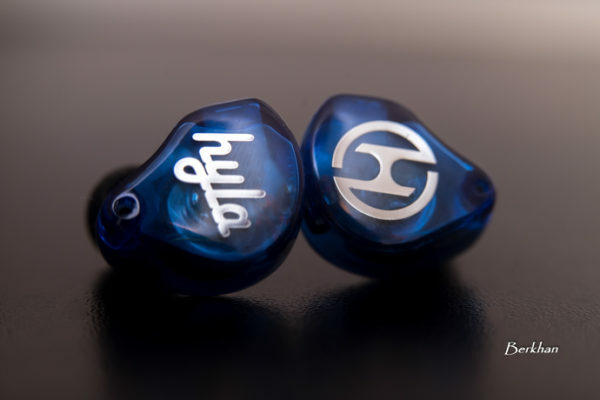 Our review is on the HD25-1 model. The fitting is one of the best among supra-aural cans, with just the perfect amount of clamping force. Not too tight and not too loose. The HD25-1 is available with two pads: synthethic leather and verlour (in case your HD25-1 only comes with one, you can get the other pads from Sennheiser directly). The pads fits very comfortably on the ear, and it provides enough pressure that it doesn’t slip or fall easily. Perfect for people on the move. Though it is a supra-aural, it seals perfectly from outside noise. Truly the best isolation that you can get out of a portable headphone. Even most full-size headphones don’t seal better than the HD25-1. I used to use Etymotic’s ER4P for my portable set up, but now the HD25-1 gives just as good sealing in a much comfortable package. 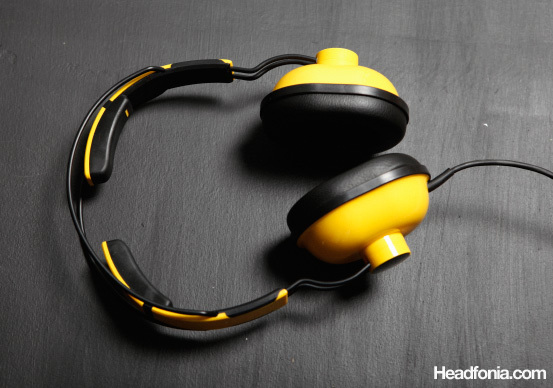 Being entirely made from tough industrial plastic, the HD25-1 is probably one of the toughest headphones you can find. It’ll withstand most shock and impact. The surface is tough and scratch resistant, the headband is flexible that you don’t need to carry it around in a case like most other headphones. Just throw it inside your bag and you’re set to go. (Get a silicon sleeve for your DAP to complement the HD25-1). Talking about DAP and portable music, one of the great thing about the HD25-1 is that it sings beautifully un-amped. A rarity for a headphone with such great sound quality. Even 32 Ohms Grados can feel lacking dynamics and impact when plugged straight to DAPs, but not the HD25-1. It may be 70 Ohms, but plugged straight to a DAP, it gives you all the punch and impact that you ever need. This makes the HD25-1 a joy to use on the road cause you don’t have an extra box to carry around. Furthermore, the clever dual-entry, but single-sided cable means that there is no cord getting tangled up. I can’t praise the design of the HD25-1 enough! The HD25-1 has a neutral, monitor-grade sound. A lot of headphones may claim that they are pro-monitor tools, and how their sound is neutral, but the HD25-1 is the real deal. I’m talking K701 neutral and UM3X neutral here. Unlike the K701 that tend to be sterile and lacking punch, the HD25-1 is neutral without being sterile. It has clean, punchy bass that makes music enjoyable. Compared to the K701, the K701 has a much bigger soundstage (being a full sized, and open cans), but the HD25-1 wins in that it doesn’t have that plastic sound that the K701 is famous for. Also where most closed headphones, including the DT770 Beyer, and ESW-9 ATH has a closed headphone reverb phenomenon that never sounds natural, the HD25-1 is free from it. Dave Koz’s saxophone sounds great on the HD25-1, not as airy or breathy as say on a top-line Grado or Alessandro, but the saxophone sounds very saxophone-like. Likewise Depapepe’s Guitar and Vanessa Mae’s strings are detailed without being sibilant. Guitar distortions often present on Muse’s songs too don’t feel overly harsh. The HD25-1 has a nice high that doesn’t go too far into the harsh territory. It is resolving enough for playing concertos and symphonies, but still plays pop music well without being sibilant. Bass is probably what I like best about the HD25-1. Muse’s “Supermassive Black Hole”, Craig David’s “Insomnia”, and Black Eyed Peas’ “I Got A Feeling” is successfuly played with enough dynamic, punch, and control. No intrusions to the mids and highy. The bass also have enough depth without blooming or bloating. Playing Leona Lewis’ “Bleeding Love”, the HD25-1 was able to play the looping drum in the background with superb control. Positioning is quite okay. Soundstaging tends to fall into the small category. In Sarah Brightman’s “Fleurs Du Mal”, and Yanni’s “Santorini”, the “grand” feeling fails to be felt. Soundstaging is definitely HD25-1’s Achiles Heel. The presentation is quite neutral and in-the-middle. Not in-your-face ala Grado, and not recessed like the K501. I can nominate the HD25-1 as the best portable headphone, if not for Audio Technica’s ESW-9, ESW-10, and AKG’s K181DJ. The thing about ESW-9 and ESW-10 is that, though they are very nice sounding phones, they can’t really be called neutral-sounding. What’s interesting is AKG’s K181DJ. Listening to the K181DJ, you will be shocked to find that the sound is IDENTICAL to the HD25-1. I’ll say it again: The K181DJ sounds identical to the HD25-1. How can they be? Two different phones from two competing companies that sound identical? I don’t know, but the two sound exactly the same. Overall, I really like the HD25-1. Neutral and balanced, yet also dynamic and punchy. (Most neutral phones lack punch, and most punchy phones lack neutrality and balance). It drives nicely straight from your DAP, but plug in an amp and it’ll go from punchy to seismic! Good sound, solid build quality, and a cool looking design too! GOOD: Portable, Rugged, Superb sound isolation. Perfect for outdoors. Very neutral sound with good punchy bass that doesn’t veil the rest of the spectrum. Source: Ipod Touch 2nd Gen. Quite pricey for a portable headphone. HD25 is the standard in Danish film/tv-industry. 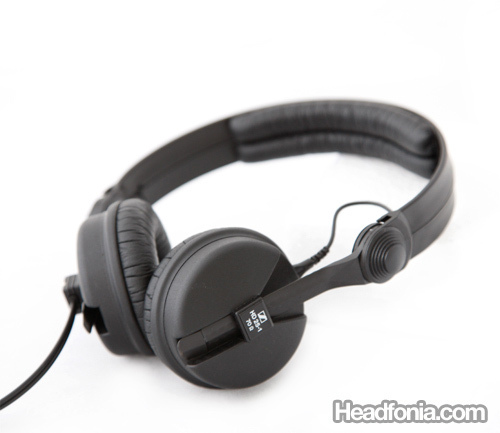 Means everybody (rentalhouses-freelancers-productioncompanys…directors-journalists…..)will reckon HD25 as THE headphone. Had mine for 10 years . Only problem – after 8 hours of intense listening your skull hurts a bit. And beware – clean sound performance thends to make volume too high – right there it´s ok, but again , 8 hours later your ears ring. Thanks for the comments Jens. The HD25-1 is used a lot in television and film industry all around the world I believe. Mike, is there any difference between the HD25-1 and the HD25 SP? There's a huge price difference between the two. great review. I was able to find out what the difference between the different models are on this post. I've had mine for over 10 years now, and since I used to be very rough with them, they are now really starting to show their age. (that said, I'm a pro life / touring guy and no other headphones would have stood up to that kind of abuse). The only issue that I really have with them now (other than having to but new pads every 2 years) is that the sockets in which the cables on the drivers sit are becoming annoyingly intermittent. I'm pretty sure that the drivers are also not as clear after over ten years of intense live sound abuse (different than studio/TV, because we opp at a minimum of 105db outside noise, so that these headphones always have to drive hard). BTW: the steal enforced cable works extremely great. I've crushed the cable in road case lids (between the aluminum rails) many times. The cable is kinked, but never broke down. I don't understand why all these fancy schmancy life sound guys are still always buying those sh**ty SONY ones. They don't seal of well, they cables are long and coiled, and they hard plastic breaks fast. Thanks for the nice comments. 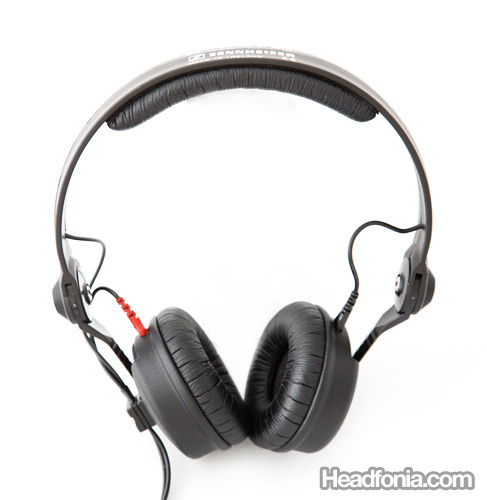 After over 10 years of using the HD25-1, you probably know more about the headphone than I do. Finally I can get a sure confirmation to why Sennheiser equipped this with a steel cable — for extreme durability. As for the Sony, I think the reason that a lot of people is using it is because the Sony ones are much cheaper in a lot of part of the world. The MDR-7506 costs about ~$70, where the HD25-1 costs $200-$300 depending on where you live. Very popular amongst DJs as well.. Really tight, clean sound and great isolation! Just got them for portiable/Rock phones. My grado’s sr80i’s were nice but just go harsh. I haven’t burnt them in and feel they are a bit recessed in the midrange. Will the mids come out more with burn in/Cable upgrade? The mids shouldn’t be recessed. Hello Mike, how does hd-25-1 compared to superlux 668b or sennheiser hd 600? Does it comfortable for eyeglasses wearer? I am planning to upgrade my 668b because it’s extremely uncomfortable. Thanks Mike, sorry for my crappy english..
still more comfortable than the HD668B. thin on the mids, more analytical. punch, slightly rolled off top and bottom, forward sounding. than the HD25-1. But the two headphones are good for different purposes. I’m gonna replace the pads for my HD 25 and saw the velour ones – do you recommend them? I got some new pads for the HD 25 and find that the velour make the HD 25 bass less bloated; with the velour, the HD 25 sound more neutral and still quite forward. I tried the velours with one and two felts. Two felts made the HD 25 warmer but they lost a little of the air and bass definition as a result. So, I’ll probably use just the one felt unless I find them too bright over time. it does a little and it definitely softens up the bass. but if you love a warm dark sound signature like the hd650 and want a closed portable solution – they sound wonderful. especially through a cmoy with opa2227. Sounds like what you need is a different headphone than the HD25-1 then. You should try the HD202. Its signature is very similar to the HD650 just less refined. Really enjoyed your reviews here in Headfonia. I am currently listening to a stock HD25 straight out of my Ipod/IPhone4. I listen to mostly modern Pop/Rock. I loved the way HD25 sounds but would like to bring it to a higher level. If I were to choose between Yulong U100 or Audinst MX1, which one will be a better match? And also, what will be the audible differences by pairing with each equipment. P.S. Taking aside the U100 USB issue factor please. Thank you. The Audinst is warmer and darker, more laid back. The Yulong is more upfront, brighter, more agressive, better articulation. Which one do you think will be a better match for you? Would Audinst change HD25 into a slower pace, more laid back signature? The one thing I like most about HD25 is the excellent PRaT and bass punch. I am afraid I might lose these once HD25 is paired with Audinst. However, I am also afraid that U100 will make HD25 to become sibilance. By the way, I don’t find the stock HD25 sibilance at all. reality it is not that mellow, the speed is still pretty fast. hi, do we need good amp to make hd25-1 ‘singing’? how identical actually 181DJ sound signature to HD25-1? both 181DJ and HD25-1 offer ‘upfront’ presentation? No don’t need an amp for the HD25-1. Both the HD25-1 and the K181DJ do offer an upfront/forward presentation. i tried direct-ipod listening but the performance of HD25-1 didnt shock me.weird! Just got my paws and ears on these- scored a sweet deal on mintish condition full package for 125$. And you shouldn’t tire to recommend them, Mike- they still are a great portable headphone that doesn’t need amping and will endure most adventures one can bring them to! Compared to my Grado SR80i they lose a bit of air and treble, but make it up by more body in the low-end and with infinitely more convenience. No need to baby them and if something fails then it’s easily replaceable. Speaking of genres- I like these more for Jazz because off bass and more natural voices. Still no soundstage, but that’s no biggie for me- for soundstage I’ll get the HD650/600 someday. Yea it’s amazing how this old headphone continue to get more fans by the day. It’s really one of the best Sennheisers IMO. What is your budget? And can you use an open headphone? My budget is 150-180 €. I would prefer a closed pair of headphones, but if you say that there is a huge difference between closed and open headphones for classical music, I will buy an open pair. I think it should be an open pair. The TMA-1 is really not a headphone for classical. Stay away. The AKG K272HD is okay. The Senn HD25-1 is pretty good, but the soundstage is very small. The Senn HD598 is your best bet here. If you listen to chamber, strings, opera, then the HD598 should be good. If you add in Symphonies, then I think the HD600 would be better. They should work pretty good if you have an A/V receiver with a headphone jack (or a CD Player with a headphone jack). I’m not sure about the A/V receiver headphone jacks… It really depends on the design (a usually crappy headphone amp or a speaker out + resistor network), I have tried my Pioneer receiver and to be honest- I prefer laptop or mp3 player. Old amps/receivers used to have really good headphone outs because they usually didn’t have the power of today’s d-class 200wpc amps so they could afford to just hook up a few resistors and have the main circuit powering the headphone out. That should work wonders on the HD600. Classical on the HD-25-II isn’t bad per se, though you must have known that classical is exceptionally hard to reproduce faithfully because of the wide frequency range. I’d recommend looking at the open Sennheisers because soundstage plays a big role in classical. HD580, HD600 and maybe HD598. Try the first ones if you have decent amping, the HD598 while a class lower will play well without dedicated amplification. I’d prefer a closed pair of headphones, but I will consider open headphones! Perhaps the HD598, because I currently don’t own an amplifier. Fantastic site and I love the reviews here! After reading the review I was really decided on buying the 25-1 and went to the shop and tested them out in a shop with quite a few headphones in the lower end (up to 300 USD). I realized that I just had to buy the headphones that I felt was closest to what I hear on my monitors in my studio (Dynaudio BM-6) and thought it was unrealistic to ever do music on the 25-1’s because they alter the sound so much. So, I ended up with either grado SR-60 or Beyerdynamic DT990 Pro 250 Ohm. I think I’ll go for the DT 990 but havent decided yet. When testing them it sounds to me like the Beyerdynamic is a tiny bit too low in the mid high and that the Grado SR60 emphasizes the mid highs so that’s why I think I’ll decide on the DT990’s. I’m a little unhappy that the DT990’s emphasizes the highest frequencies, though. Do you have a suggestion for a third pair of headphones? Yea.. the HD25-1 was designed for ENG uses, and it does pushes the vocals forward a little bit. Now you find that the DT990 has a little bit too much high frequencies? I think you can give the DT880 600 Ohm a try. It should be more linear and smoother on that region. Hi Mike. Thanks for your advice! Now I also read a lot on gearslutz + SOS tests and I’m very confused. According to SOS the best mixing headphones in my price range (max around 400$) seem to be the 880 or HD650 and I can try out both in my local music store for 14 days so that’s gonna be exiting 🙂 I’m gonna return the grados and the 990’s. If mixing is your primary thing to use with the headphones, then get the DT880. 250 Ohm version is good but 600 Ohm is best. It’s similar to the DT990s but a tad less in the treble. The HD650 would be too colored for mixing. The HD600 would be a better alternative. Between the HD600 and the DT880: if you feel that you can use a LOT of treble reduction (say 2-3dB) from the DT990 then go with the HD600. If you feel like you like the overall DT990 but just want a little less treble, then the DT880. i want to buy a portable amp for this headphone,i listen to stuff like beatles,rolling stones,u2,nirvana and sometimes listen to trance like tiesto or armin van buuren. for that kind of music,is it better im buying pa2v2? jdslabs cmoy? or even higher end stuff like rsa sr 71-a? But if you want to try a low budget solution, I would lean towards the Cmoy. Should be good for Beatles, RS, U2, Nirvana, and for Tiesto and AVB you can turn up the bass boost switch on the Cmoy. so jdslabs cmoy bb sounds better than pa2v2 for the beatles,rs,u2,nirvana? i’ve got one question again,what is the best headphone for classical and jazz under 2 million rupiah? (200$) thanks!!! I won’t say an absolute “better” like what you said. But the JDSLabs have a better genre bandwith and plays better with the Beatles recordings. Classical and Jazz for $200, again not I wouldn’t say “best” but the HD558 or the Alessandro MS1 should do well. SN just came out with a slightly different 25 called the Audeze. Is it just color differences ? and cosmetics ??? I think it’s called the Amperior. At the moment I still can’t confirm it, but it looks like a variant of the same HD25-1 driver. I bought them but I found some sibilance, the “s” and “th” of singers are troublesome, I’m disappointed for that..
All the other features are ok anyway.. Yes the soundstage are quite small on the HD25-1. The HD650 can be driven with the HP-P1 (I used the HD800 for it), but in my opinion the amp lacks punch. The HD25-1 was designed as a monitoring headphone, and any decent monitoring headphone should reveal sibilance when the recording has it. If you want to have less sibilance, you need some headphones that attenuate on the upper treble frequencies, but it may not sound natural with instruments. It’s difficult really, and the best solution can only be made at the recording level. is not perfect, but I think is a little bit too much.. there are other samples with trash metal tracks. With the hp p1 sounstage of hd 25 increases slightly. Frankly speaking I expected something better from that dac/amp, it sounds different from ipod but is not like night and day, maybe with hi end headphones the diffrence is bigger.. I will buy hd650 and for ont the go use iem se 535, to use hp p1 at maximum of its possibilities..
but as usb dac/amp with very small dimensions (I’m always abroad and I need easy transportable equip.) would be DACMini the best solution and great improvment from hp p1? Sorry what is the question here? The HD25-1 is a field news-gathering gear, and I believe they do meant to put some emphasis on the vocals. So I wasn’t saying anything about flat. Sibilance is a fact of life. Depending on the vocal style of the singer, the microphone used for the recording, the sibilance is already present from the time the signal flows from the microphone to the mixer. And if the rest of the chain up to the reproduction (ie. headphones) is not intentionally masking the top treble frequencies, then the sibilance will be audible. What’s worse is that on some recordings they actually boost up the top treble and so you are actually getting more sibilance (the reason being it helps to boost the impression of detail). In my experience the HD25-1 doesn’t exaggerate sibilance, though again it does put some emphasis on vocals. 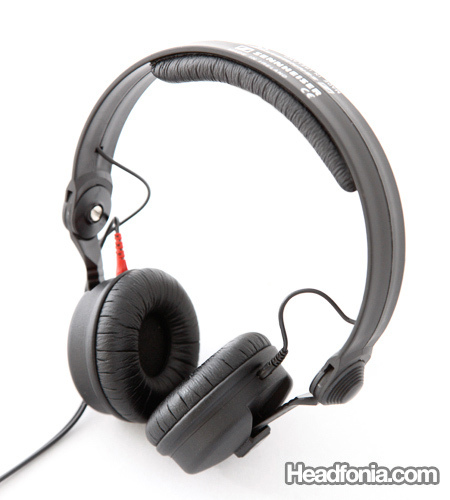 Some other headphones like the Shure SRH840 and the Beyer DT880 is more prone to sibilance. Though I think in the cases of those two headphones, I think it’s simply because their drivers maintain a more linear extension to the top treble region (the HD25’s top treble is more rolled off compared to them) hence they would be more revealing, which should be the case, given the fact that they are studio monitoring headphones (the HD25-1 is primarily a field-gear). The soundstage is narrow and small, that’s simply the limitation of the housing size. Generally the bigger the housing, the bigger the soundstage is. But in that small soundstage space, the imaging of the HD25-1 is very good and very three dimensional, better than say an ATH AD700-900-1000, though they have a far more open sound. The HP-P1 is actually a night and day difference from the Ipod. Perhaps you should try listening to it again, and try using some good quality recordings if you haven’t. I noted that soundstage is tridimensional, and I like that! Moreover watching movies with audio of HD 25 is mind blowing (coming from bose iem ! ), detail is impressive.. and for on the go hd 25 are perfect. Anyway for listening music at home I prefer less fatiguing headphone, greater soundstage and treble slighty laid back (like listen to speakers from some meters), hd650 will fit my requirements.. Yes you can try the HD650, or if you can afford it, wait until the HD700 is released. Yes, the sound signature can be said to be identical, with the AKG being better in the technicalities. Surprising isn’t it? What is this!?!? 😛 But honestly if that is the case then Ill definitely pick up the AKG518LE(It is supposedly the same as the AKG K181DJ, just with diffrent color schemes). So this >$50 headphone is on par with the $200 sennheiser? EDIT: Nevermind, the K181 is diffrent from the K518 LE. So the AKG K181 DJ it is. No, the AKG K518le is “identical” to the K81dj, but certainly not with the K181dj. No the K518LE is very different than the K181DJ. What will it sound be like when amped with cmoy?